No way! Here are 3 really easy, really quick fresh pasta recipes. Making pasta is so easy, you’ll ask yourself why you didn’t try it years ago! Yes, it takes a little longer, and takes bit more preparation, but the satisfaction of actually making pasta is immense. When you can sit down with your guests, partner or kids and say you’ve made the pasta they’re eating it makes you feel great. It’s a level above making a fantastic sauce that you add dry pasta to and it’s really good fun too. Tip: don’t use eggs straight from the fridge, it makes it harder to blend the ingredients together – they should be around room temperature. 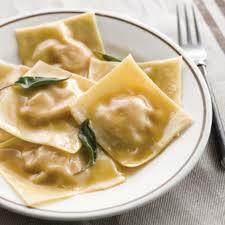 In Italy flour for making pasta comes in three grades – 1, 0 and 00 – which denote how finely it has been ground. The most finely ground is 00 and this is what is used to make pasta. It’s ‘castor sugar soft’ and as such, makes the silkiest dough. Because the sheets of pasta need to be grain (not lump, lump is 10 times more than grain) free, the finest flour should be used to make the dough. Tip: if you can’t find Type ’00’ flour, All Purpose Type ‘AP’ is a good substitute. This is such a great piece of kit for making pasta that I’ve actually dedicated a page to it and have also taken the liberty to add a couple of recommendations. Basically, you make the dough, the machine rolls it to the right thickness and then (by using various cutting rolls) cuts the kind of pasta you want. There is even an attachment to making pasta Ravioli! I use a manual one myself (more traditional and more fun is you ask me) but you can get electric ones too. Tip: this is a recipe for 4 people. You may or may not have noticed the trend above – 400 Grams, 4 eggs. With dry pasta, the suggestion is 100 grams per person – same thing here, you multiply the quantities for the amount of guests you’re cooking for. Make a volcano (a mountain with a hole instead of a peak) and add your eggs (and the pinch of salt) to the hole you’ve made. Fold the mixture together (you can start of mixing with a fork if you like and then finish up using your hands or use your hands from the start, it doesn’t really matter) until you have an elastic dough. Once you’ve got your dough, if you have a pasta machine, you’ll put it through the rollers a few times (decreasing the space between the rollers each time) until you get strips of pasta of about 2mm thick. Once you have, you’ll run it through the cutting rollers and, as if by magic, you’ll have pasta. If you haven’t got a machine you can either use a pastabike (similar kind of thing to the tool you’d use to paint your walls, just with evenly spaced grooves instead of a sponge) or a knife. Pasta roller’s easier obviously, because you get a more even cut, but using a knife is more traditional still. Tip: if you’re using a knife (make sure it’s sharp, by the way) and trying to get thin, even strips, you’ll give up before you get halfway through. It doesn’t matter if they’re not even – or wonky – this is half the fun of making and serving real, fresh, home-made pasta. Once you’ve cut your pasta, you should put it on a good sized tray, lightly sprinkle it all with flour and cover it with a tea towel for half an hour. 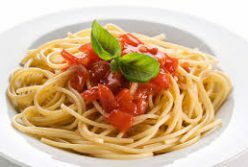 To cook, boil up a pot of water (add a tablespoon of salt per liter of water), cook for 3-5 minutes (or until the pasta rises to the top), strain and add to your sauce. That’s it! You’ve made pasta! You make Ravioli pasta in the same way as you make Spaghetti or Tagliatelle, but you don’t add salt – the taste comes from whatever filling you use. Make a volcano (a mountain with a hole instead of a peak) and add your eggs to the hole you’ve made. Fold the mixture together (you can start of mixing with a fork if you like and then finish up using your hands or use your hands from the start, it doesn’t really matter) until you have an elastic dough. Once you’ve got your dough, if you have a machine for making pasta, you’ll put it through the rollers a few times (decreasing the space between the rollers each time) until you get strips of pasta of about 0.5-1mm thick. Once you have, you’ll add your Ravioli attachment, run it through the shaping rollers, whilst adding the filling. If you haven’t got a machine you can use the Pastabike again (handy for making squares too). Once you’ve cut you’re squares, you need to add your filling (this can be anything from mince, to ricotta to cheese and ham). To do this, you take one square of Ravioli put a dollop of filling in the center, add another square on top and press down the edges. This whole process might seem fiddly and time consuming but it’s well worth it. To cook, boil up a pot of water (add a tablespoon of salt per liter of water), cook for 10 minutes and serve. Meat Ravioli goes really well with the basic tomato sauce even though traditionally Ravioli is served simply with a chunk of butter. This is not strictly a pasta dish, but it’s really great none-the-less. Peel your potatoes and boil them until soft – not so soft that they’re falling apart though, so probably about 20-30 minutes. Take your potato masher and mash until you have no lumps. Once this is done, ad the egg and the flour (gradually) until you get a nice thick paste. Roll the paste between your fingers until you have a roll of approximately 2cm in length and 1cm in diameter. Tip: this is quite sticky work. Every now and then, dip your fingers in flour to stop the paste from sticking to your fingers. 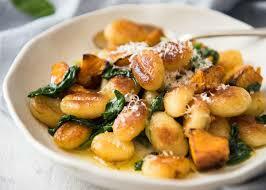 To cook, boil up a pot of water (add a tablespoon of salt per liter of water), cook until the gnocchi rises to the top, strain and add to your sauce.